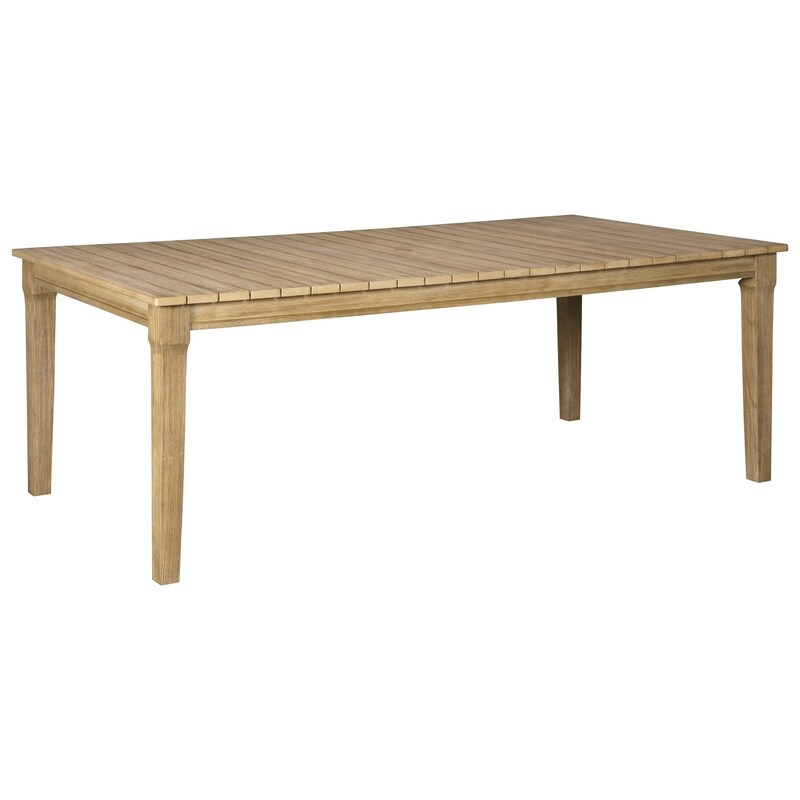 With its slatted top and antiqued, teak-look finish, this dining table will make a wonderful addition to your outdoor space. The Clare View Rectangular Dining Table with Umbrella Option by Signature Design by Ashley at A1 Furniture & Mattress in the Madison, WI area. Product availability may vary. Contact us for the most current availability on this product.